Hampshire is one of the largest counties in England, as well as being the most populous. It is a relatively affluent area with a small coastline and although tourism is not a major industry, the coastal area does attract visitors, as does the New Forest National Park, and it's southerly position means that enjoys a clement climate like its neighbouring Dorset. For those looking for a peaceful getaway, there are several market towns in the area, and the countryside is ripe for exploring. The Solent coastline is dominated by the two main ports, which obviously run ferries to the Isle of Wight for a day out. 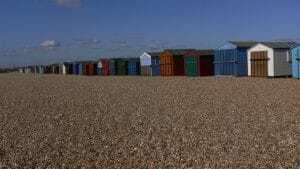 The jewel in the area for beach lovers is Hayling Island which also offers great opportunities for waters-ports. Overall a quiet choice of area for holiday makers who quite simply want to take it easy. This section has information on the most popular caravan parks in Hampshire. If you are looking for a holiday in Hampshire, the pages listed below should have all the information you need to decide which resort to stay at, as well as links to check availability, and book a holiday or short break.